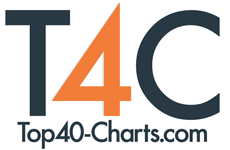 New York, NY (Top40 Charts) 2019 marks the 20th anniversary for Vitamin String Quartet (VSQ), one of the most streamed contemporary classical ensembles in the world. VSQ performs cutting edge renditions of the hits of today and beyond. Erasing boundaries between classical, dance, hip-hop and pop, VSQ has covered acts ranging from Ed Sheeran to XXXTENTACION, Lady Gaga to BLACKPINK and Kanye West to John Williams. Praised by the likes of Buzzfeed, The New York Times, Los Angeles Times, New York Observer, Consequence of Sound, Nerdist and more, VSQ has released 300+ albums, accumulated more than 500 million streams, almost 4 million downloads, over 1 million physical units and averages more than 600k monthly listeners on Spotify. VSQ has also earned numerous Billboard chartings and prominent placements in TV (HBO's Westworld, Showtime's Shameless, and others) and film. There's a lot more to come from VSQ in 2019, including upcoming additions to their ongoing Hits collections, Geek Wedding album series, and a massive tribute to Bjork scheduled for Record Store Day, as well as more live shows and special events. Angel Metro Announces The Release Of Her Debut Album "Dark Days Bright Lights"